We are looking for volunteers to take part in a study of social and arts-based engagement opportunities for those affected by multiple sclerosis. As a participant in this study, you would be asked to take part in one focus group and have the option to also take part in an 8-week songwriting course. No experience in music or songwriting is required! Participation in the focus group would require one (1) session approximately one (1) hour in length. Participation in the 8-week songwriting course would require eight (8) sessions and a live performance, each approximately two (2) hours in length. All participants in the songwriting course must participate in a focus group. Participation is open to individuals 18+ with MS, or family and caregivers of someone with MS. 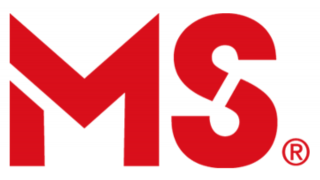 The focus group will investigate ways to offer opportunities for engagement and discover what those affected by MS seek from the local MS Society of Canada Niagara Peninsula Chapter of Hope’s services. In appreciation for your time, you will receive a $20 gift card and refreshments. All events will be located at the MS Society of Canada Niagara Peninsula Chapter of Hope. This study has been reviewed by and received ethics clearance from Wilfrid Laurier University’s Research Ethics Board, REB # 5859. This project is supported by the Social Sciences and Humanities Research Council (SSHRC) Partnership Engage Grant.